I was expecting to see him somewhere but nope. Sasha and Jean but no Levi. OMG!! I'm watching through the Anime now. I was behind getting started. But I only have 5 episode left. This show is amazing and insane!! And now to hear there's a Live Action film coming! Overload. I thought Armin was actually supposed to be a girl? Yeah I actually have no idea about that. I know Hajime Isayama came out and said something along the lines of Armin being a chick but I don't know how true that is. Looks like its going to be an awesome live action adaptation of an anime. Need some americans in it, to play the blondes. All hell broke loose when they used white actors to play Asian characters set in an Asian setting(names, back stories, culture) in The Last Airbender. I wonder what would have happened if Hollywood used white actors to play Western characters set in a European setting in their adaption of Attack on Titan? Intrigued by this IP. Wondering if I should wait to read it/ watch it before the movie. Since movies often rarely live up to the published word. 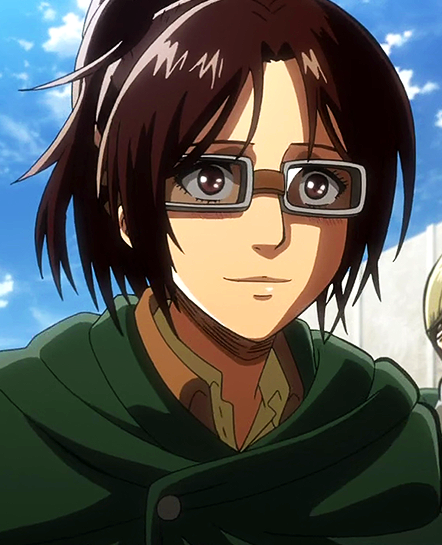 Mikasa good choice, got the right look and very cute at that.